It seems like I have spent most of the last few days either cooking or driving around town to deliver Christmas presents, with a bit of housecleaning and last-minute decorating mixed in. On one of those gift deliveries, I received my very first gift of the season! 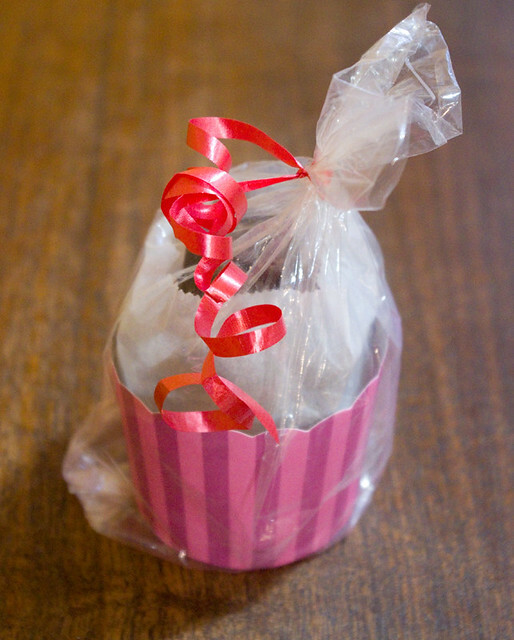 That’s three types of homemade fudge, all cooked up by my friend and her daughter, and then wrapped prettily. Thing 1 and Thing 2 keep asking me to share, but I have selfishly been hoarding it all for myself. (They’ve been on the receiving end of many other treats, so I don’t feel too bad.) 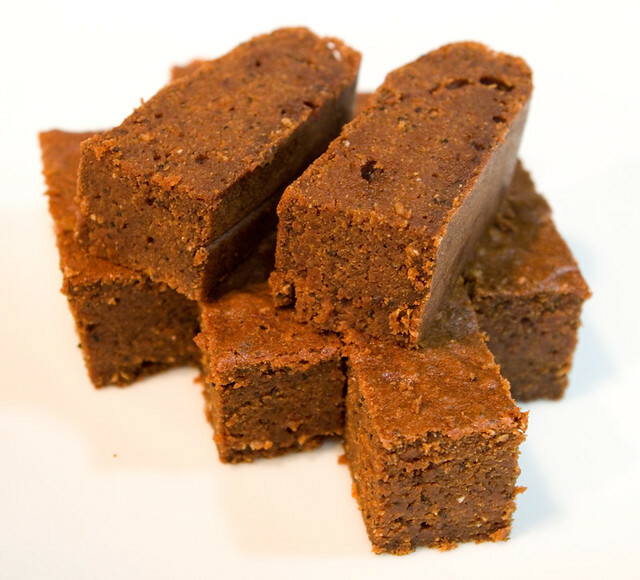 I have a weakness for fudge. One of Thing 2’s Sparks leaders has organized gifts to bring to one of the local retirement homes. Parent volunteers baked cookies and squares, which the leader will package into gift bags. 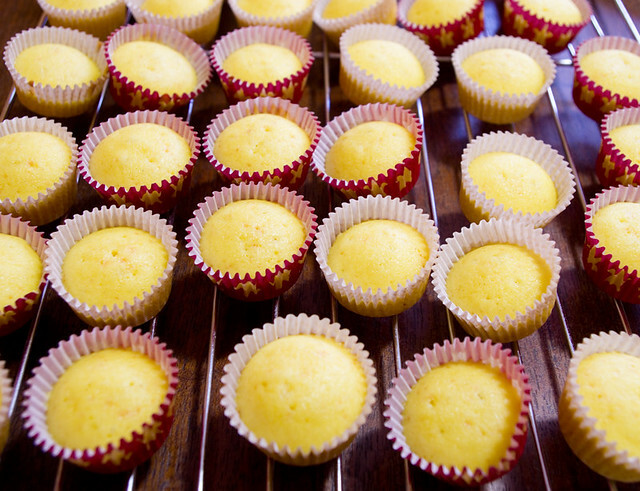 One of the baked goods that I contributed was mini lemon cupcakes, which is actually just IKEA Muffinsmix Citron baked into tiny IKEA Snodriva paper liners (now discontinued). Is it a bad thing that I don’t always make things from scratch? I did bake these Fudgy Pumpkin Coffee Brownies (page 222, Purely Pumpkin by Allison Day (2016)) completely from scratch, though. These also went to the retirement home gift bags. I used some of the Halloween pumpkin that I’d roasted, too! I really liked how moist these brownies ended up, courtesy of the pumpkin puree inside. I successfully substituted equal amounts of whole wheat flour for einkorn wheat, which I couldn’t find around here (and honestly had never heard of until I read this recipe). I did use a dairy-free chocolate chip, but I think I may go for a standard kind next time — I hear that they’re even making a dark chocolate chip now that’s available in most grocery stores. Posted on December 22, 2017 December 21, 2017 by owntwohandsblogPosted in Cooking, HolidaysTagged baking, brownies, charity, Christmas, Cooking, cupcakes, gift, gifts, Guiding, holiday, Holidays, homemade, lemon, presents, sweets.